Literary success soon faded; his complexity increasingly alienated readers. After a visit to the Holy Land in January 1857, he turned from writing prose fiction to poetry. In 1863, during the Civil War, he moved back to New York City, where from 1866-1885 he was a deputy inspector in the Custom House, and where, in 1891, he died. 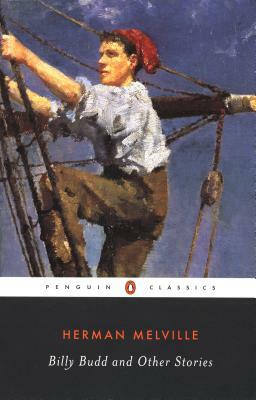 A draft of a final prose work, Billy Budd, Sailor, was left unfinished and uncollated, packedtidily away by his widow, where it remained until its rediscovery and publication in 1924. Frederick Busch(1941 2006) was the recipient of many honors, including an American Academy of Arts and Letters Fiction Award, a National Jewish Book Award, and the PEN/Malamud Award. The prolific author of sixteen novels and six collections of short stories, Busch is renowned for his writing s emotional nuance and minimal, plainspoken style. A native of Brooklyn, New York, he lived most of his life in upstate New York, where he worked for forty years as a professor at Colgate University."